Scott Kushnier of H Street Business Solutions is a very skilled and dedicated problem solver. He has never failed to diagnose and solve problems in our computer system. Scott also makes himself available on relatively short notice to deal with acute situations. We have been friends with Scott’s family since the late 1950s. We knew about Scott’s business, but never used his services because I taught Computer Engineering at a major university and had always taken care of our family’s computers myself. However, recently I just didn’t have the time to do a hardware upgrade on my wife’s personal laptop, so we asked Scott to do the work for us. I wanted to install more RAM and convert it from a mechanical hard drive to a solid-state HD. I wanted this done without losing any data, losing any of the settings, options, passwords, or the need to reinstall any of the software. In many cases, this either cannot be done, or shouldn’t be done because of various issues. We discussed the options, and he performed the work quickly and perfectly. When he returned the machine to us, the machine worked flawlessly. We could use it immediately. Best of all, the speed of the machine increased at least 20x on formerly lengthy tasks such as booting, installing updates and new software. In all ways, it went from being almost unusable to working as well as my wife’s nice new work laptop. Because of the trust we have in Scott, we didn’t feel any need to remove sensitive data on the machine (eg, passwords, emails, financial data, etc. ) before giving it to him. He is honest, highly ethical and highly competent. We can’t recommend him more highly. H Street Business Solutions offers the perfect combination of knowledge and capability, commitment and availability, for a small consultancy like mine. What I do on and with my laptop is my business, so I need to trust my IT consultant 100%. And I'm happy to say that H Street has more than earned my trust. Scott Kushnier of H Street Business Solutions came to us from a recommendation, and a great one it was. When we needed an emergency fix to our system, Scott was quick to respond and get us back up and running smoothly. And when the time came for new technology, Scott walked us thru several possible solutions, always pointing out ways to save money and get the best hardware and software to suit our needs. We highly recommend Scott and H Street for all of your technology challenges. I did not want to deposit my computer with a company that I found online, so I was relieved when I was introduced to Scott and knew my computer was in good hands. Scott fixed the numerous problems that I had with my computer in less than 24 hours at a very reasonable price. He was also responsive to a follow-up question. I would highly recommend Scott and H Street Business Solutions for any business and personal computer related needs. We are small business owners who rely on H Street for key IT support. Scott has researched and procured laptops and software packages for us, recovered critical data for us that we thought had been lost, and been an outstanding source of information on technology trends. He is knowledgeable, reliable, and timely. We recommend him to anyone who needs computer support. H Street is the only computer repair firm I use. Despite a number of scary moments throughout the years, Scott has helped keep my trusty eight-year-old PC going strong with no data loss. I recommend H Street. I was introduced to Scott at H Street Business Solutions by a colleague over two years ago. It was the BEST introduction. Scott has been my go to computer specialist ever since. He has worked on my computers and assisted me in purchasing a new one. His work has been exceptional! I strongly recommend Scott and H Street Business Solutions if you ever find yourself in a bind with your computer or you need to discuss the best way to backup your data so you don't lose it. Thank you Scott! My friend, Ellen Kandell, wrote: "Scott came recommended by a business colleague. He was responsive, fast and solved the problem. I trusted that he knew his stuff." I echo her comments. I, too, met Scott via a business referral, and was extremely pleased with his service and advice. Most of all, by his patience. As a professional myself I know that what is often most needed by the client/customer/patient is some time and consideration to overcome her frustration and anxiety. Scott did a great job providing that and getting the problem resolved. I highly recommend H Street Business Solutions for your IT support needs. I am a small business owner and my company computer had crashed approximately three months before I called H Street Business Solutions. I employed H Street to resolve some outstanding software and operating issues that my computer had as a result of the system crashing. H street was able to resolve my computer problems efficiently, economically and professionally. In order to prevent potential problems in the future, they installed an anti-virus program and a set up a remote backup schedule for my computer data. It was great finding help that was specific to my computer. When I asked for suggestions to improve my computer's performance, he was extremely helpful. Thank you. 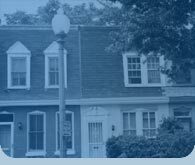 H Street Solutions has been exceptional in its service to us in every way. Regardless of whether our problem was a technologically simple one or a complex issue, our perspective is always treated with respect and addressed in a timely fashion. Scott is also excellent in communicating the issues and options to us. We recommend H Street without reservation. Prompt, honest, competent, and reasonably priced. Highly recommended. H Street is truly dedicated to helping you fix whatever computer problems you have. I will use them over and over again. I discovered H Street Business Solutions about a year ago when I needed hardware support on my home office computer. I was amazed by the speed with which they returned my call and sent a technician to my home. Since then, I have called and emailed them often for hardware and software support. Most recently, I needed to change my web hosting company, and H Street helped me to interpret the many requirements of this process and dealt directly with the new web host on my behalf. H Street now serves as my permanent web host liaison and manages and updates my web site quickly and accurately when needed. I am indebted to them not only for their support and expertise but for their high level of customer service. Nancy R. Mitchell, The Etiquette Advocate - Washington, D.C. In process of upgrading from Window XP to Vista recently, I ran into some difficulties with my existing applications. Mr. Scott Kushnier of H Street Business Solutions helped me solve the problems. I would highly recommend H Street Business Solutions. Scott came the same day I called. He was able to quickly diagnose the problem and even had the part he needed to fix my computer in his bag. He also followed up a few days later to make sure everything was working. Rapid response, reliability, and resourcefulness - all critical to a small business owner like me! I contacted H Street when my computer was infected with spyware. My computer is the heart of my business and I'm pretty paralyzed without it. Scott came recommended by a business colleague. He was responsive, fast and solved the problem. I trusted that he knew his stuff and wouldn't overcharge me. When my laptop wouldn't boot I didn't know if my files and email were just inaccessible or truly gone. Since I rely on email for my business, I needed help. I called H Street Business Solutions. In spite of a badly corrupted operating system, Scott was able to restore my files, email history, and a sizeable contacts list. He got the system working again with all my data intact. I would highly recommend H Street Business Solutions. Recently my computer was afflicted with a brutal browser hijacker. Lots of friends came with advice. Scott worked on the problem and solved it without losing my any data. His help came without the purchase of new programs and the fee was better than fair. If your computer needs work, call H Street Business Solutions.